If you have blackheads all over your nose or white bumps on your forehead that just won't go away, the best way to get rid of them is to visit an esthetician, who is trained to remove them through a process called extraction during a professional facial treatment. Conversely, the worst way to get rid of these minor imperfections is to pick them yourself, which can cause scarring and infection, especially if you just use your fingers, which carry a lot of bacteria on them regardless of how often you wash your hands. While there are many products on the market for at-home extractions, it's best to leave this work up to the professionals. Extractions are one of the most important parts of a facial appointment if you have blackheads or whiteheads because a skilled esthetician can remove them more safely than you can. However, it's important you find a good, experienced esthetician to work with because each person's oil levels and buildup rate are different and require slightly different treatment plans. While you may be able to save a bit of money by investing in an esthetician's extraction tool of your own or getting do it yourself deep-cleaning products like pore strips, the results of at-home treatments pale in comparison to booking an appointment with a trained professional in skin care. Deep-cleaning pore strips not only remove blackheads and comedones (flesh-colored bumps), they also rip off the outermost layer of skin and sometimes leave the tip of a blockhead while the pore is still mostly clogged. While you can also buy the same extracting tool estheticians use, improper skin preparation and aftercare can also result in irritation, scabbing, or even scarring. Putting too much pressure can cause broken capillaries on people with sensitive, reddened skin (called couperouse) and can also cause dark spots called hyperpigmentation to appear on people with black skin. Also, if you attempt to extract an infection, you risk spreading it elsewhere on your face, making the problem worse. At-home treatments are good for small patches of skin as long as you're careful with how you apply the product or use the extraction tool. You should also make sure to take proper aftercare of your skin to avoid any excessive irritation or drying of the skin once the blackheads and whiteheads have been extracted. When getting a professional facial—whether you're at a resort or wellness center or your personal skin care professional's private clinic—your esthetician should always wear gloves when performing extractions. Estheticians often remove blackheads by applying pressure on either side with their cotton-covered index fingers or by using a stainless steel tool with a loop at one end that can get into more awkward places but tends to hurt more. Extractions take place after the skin has been thoroughly cleansed, exfoliated, and steamed, which helps soften up the plug of sebum and dead skin cells that are clogging a pore. The combination of manipulation from an esthetician's hands, the warm steam, and your own perspiration combine to loosen the plug so that it releases more easily when the esthetician applies pressure. Whiteheads are harder to remove than blackheads because there is typically a layer of dead skin cells that have grown over the plug of sebum. In order to remove these, the esthetician has to make an opening in the skin with a lancet, a small, sharp, surgical blade that comes in a sterile packet. However, the use of lancets is illegal in some states, and some resort and hotel spas don't allow their estheticians to use them. One of the most important things that people forget before they head to their first extraction appointment is that this process can really hurt, depending on your pain threshold, dead skin buildup, and oil levels. People with thicker, oilier skin tend to be less sensitive while people with thinner skin are usually more resistant to pain. Be sure to speak up if the process hurts too much as estheticians can vary in how aggressive they are, which might be too uncomfortable for some people. Additionally, extractions shouldn't last more than 10 minutes, so don't expect to remove all your blackheads and whiteheads in one appointment if you have a lot to get rid of as too many extractions at one time can be traumatizing for the skin. 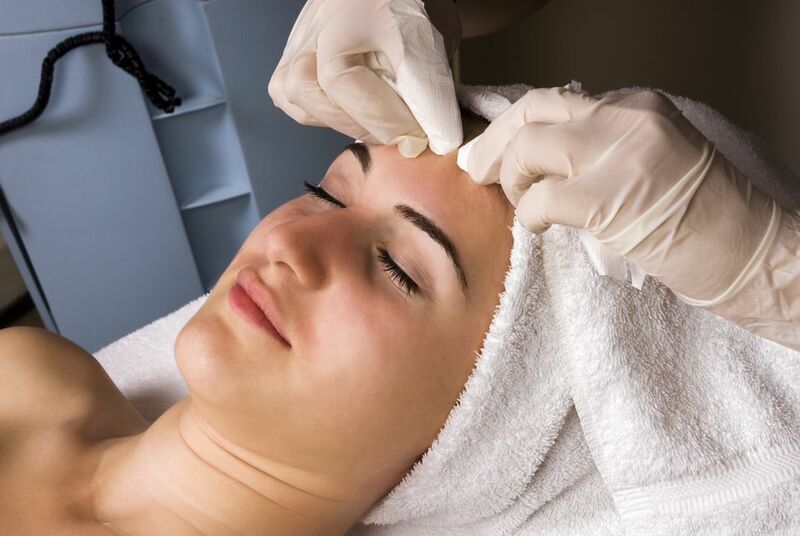 If you have acne or blemishes, extractions are the most important part of the facial for you. Once the follicles are cleared out, your skin should start to improve. However, you may want to get facials every two weeks until your skin is completely clear, and it's also important to follow up with the right products and a good home skin care routine.